The hotel design is really nice and I can enjoy my vacation in the hotel, the staff is really kind and helpful especially need to thank you for the reception team help me a lot for my stay, Is pretty last minute to decide to stay another night, they try to manage a room for me, I am really appreciate. I was amazed at how kind and happy the staff at this resort was. They were always wiling to go the extra mile and always delivered on time. Lovely clean place, was spacious and the pool was surprisingly big. Staff were very nice and willing do go above and beyond to make my stay the best it could be. Clean , Quality Service , Deserve what you pay for ... highly recommend to stay . The pool and the lovely staff. The food was really good at the restaurant as well. The villas were amazing, the best we have stayed in. The staff incredibly kind and helpful- there was a lot of choice for breakfast which is always a benefit. The private pool and the bathroom was amazing! The villa itself is very spacious and well equipped with everything you'd need. The staff were fantastic too and really responsive to any request. The villa was beautiful and the staff were excellent! I stayed in a one bedroom villa and it was massive, clean and had everything you need. What can I say except it was an exceptional experience. This place represents the best overall package for incredible value for money. 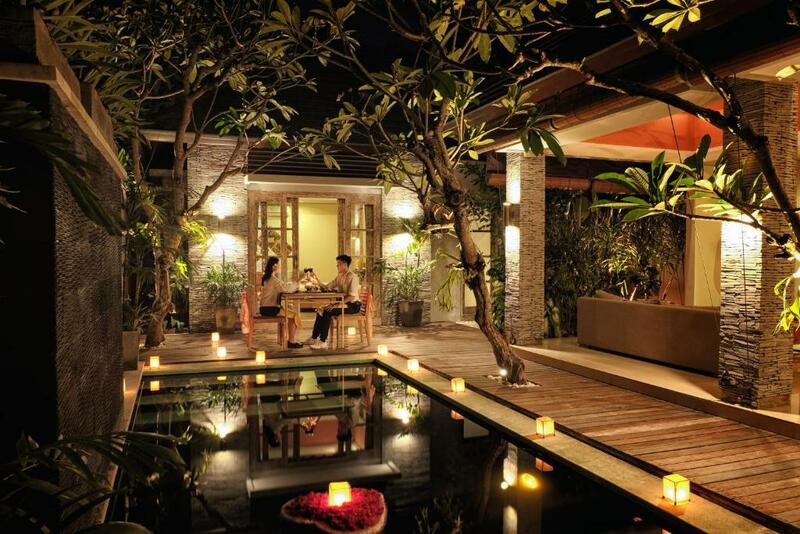 A beautiful villa, lovely gardens, superb restaurant, good spa, a location a little bit away from the hustle and bustle but a quick taxi ride into Seminyak, in villa room service, the list goes on. However the one thing that really sells it are the wonderful staff. Some of the friendliest people you'll meet, they will do anything to try and meet your requests. They make you feel like you are part of one big family by the time you leave. We have travelled to many 5 star properties around the world and have never been treated as well as we have been at The Wolas Villas. They provide a service that really is above and beyond 5 stars. Lock in a great price for The Wolas Villas – rated 8.7 by recent guests! 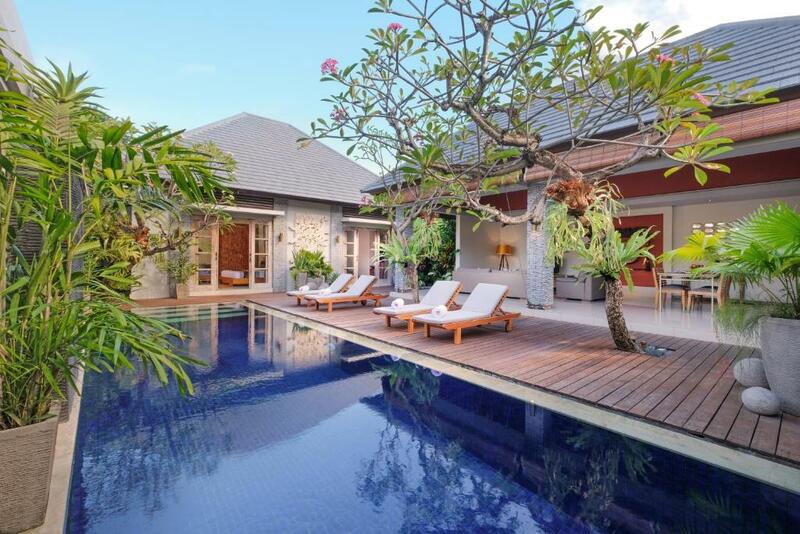 The Wolas Villas This rating is a reflection of how the property compares to the industry standard when it comes to price, facilities and services available. It's based on a self-evaluation by the property. Use this rating to help choose your stay! One of our best sellers in Seminyak! 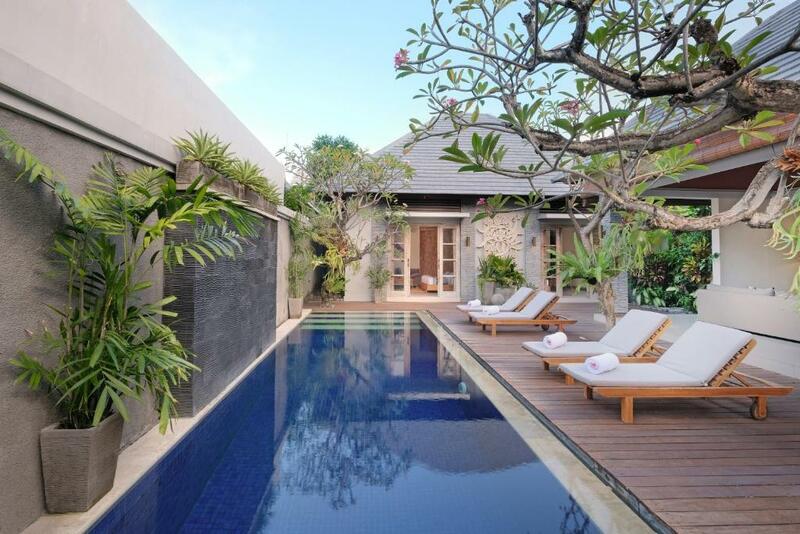 The luxurious Wolas Villas features a relaxing spa and villas with a private pool. Free Wi-Fi and a free scheduled shuttle to Kuta, Legian, Double Six Beach, and Seminyak is provided. The Wolas Villas is within a 10-minute drive from Seminyak Square, Petitenget Beach and famous restaurants and beach clubs like Ku De Ta and Potato Head Beach Club. . It is a 20-minute drive from the Ngurah Rai International Airport. Kuta Beach is 15 minutes away by car. Featuring contemporary designs with Balinese touches, each fully equipped villa at Wolas Villas Resort comes with flat-screen TVs in the living room and bedrooms, a DVD player and mini-bar. Guests can enjoy swimming in their own private pool among the resort’s landscaped pathways and garden. Massages and body treatments at The Wolas Villas spa will leave guests feeling relaxed and refreshed. Laundry service is available. The front desk is staffed 24 hours for guests’ convenience. The resort’s restaurant offers a calm dining experience overlooking a beautiful fish pond. It is open for all meals. Private meals in the villa can also be arranged by informing the butler. 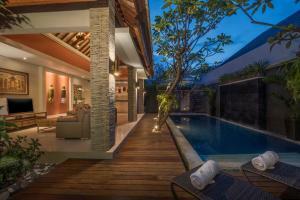 When would you like to stay at The Wolas Villas? This one-bedroom villa features a private pool, a seating area and a kitchenette with a fridge. Private bathroom offers a bathtub and free bath amenities. Suitable for up to 4 people, this villa features a private pool, a seating area and a kitchenette with a fridge. Private bathroom offers a bathtub and free bath amenities. 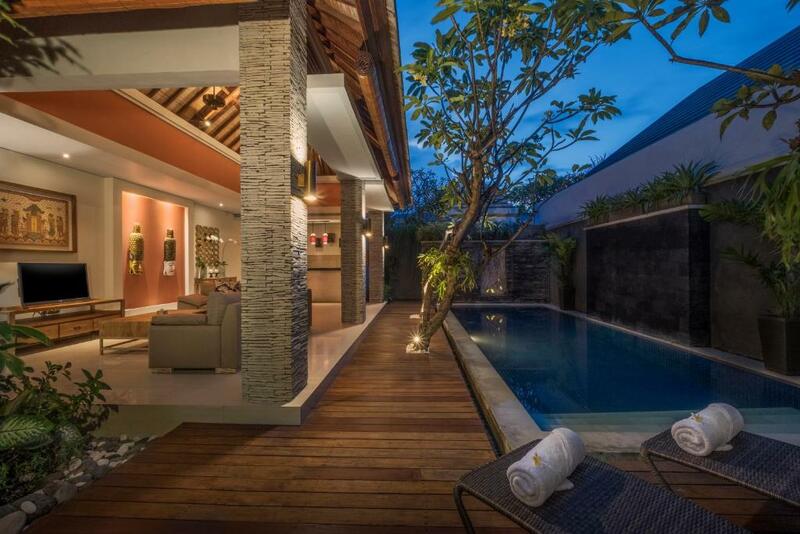 A spacious villa featuring a private pool and sun loungers. Surrounded by tropical gardens, the villa has a seating area and a kitchenette with a fridge. This villa has a seating area, air conditioning and CD player. Guests enjoy daily, 1-hour spa for 2 people. Each villa is designed in stylish interior and equipped with first-rate quality furnishings. Meanwhile, its standard feature embraces a private swimming pool, kitchen, dining area and living area. 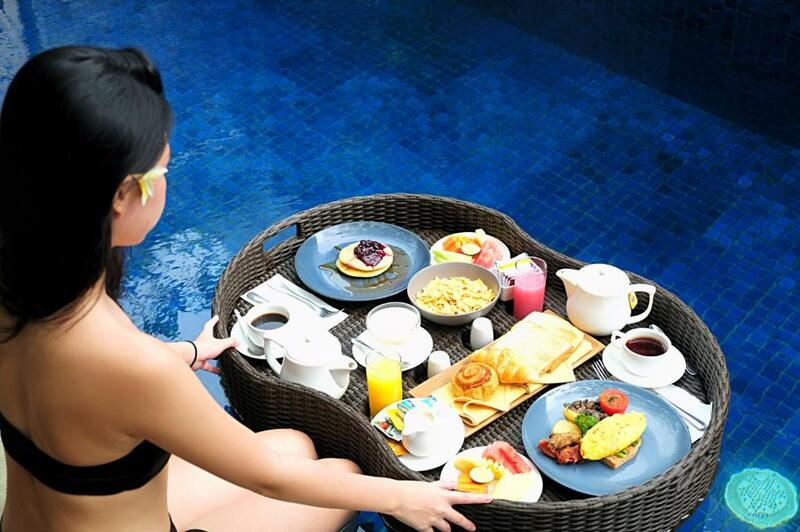 House Rules The Wolas Villas takes special requests – add in the next step! The Wolas Villas accepts these cards and reserves the right to temporarily hold an amount prior to arrival. The padlock on the villa was a bit of a nightmare! Everything. All the staff were perfect. The food unfortunately is quite average. Not sure how else to describe it. One night for dinner, we returned a meal and ordered an alternative which the staff were extremely accommodating however, they just need to up their standards overall to match the excellent service and facilities. The location was a little poor, can’t really walk anywhere need to catch a taxi. 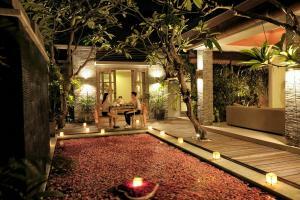 I like to walk everywhere when I’m in Bali but if you just want to chill at villa it’s perfect for you. Foods are set menu, you cant choose, what they give you must eat. Very good atmosfer pool awesome, very clean, employees are very helpful. The only downside was some intermittent internet disconnections. Nothing serious. We had an amazing time at Wolas. The villas are superb and private. We stayed for our entire trip and could have stayed longer. It was always great to know we would end up back there after trips out. Being in a more secluded location you get to enjoy the quiet. Especially at night. One of the highlights are the staff. Everyone remembered who we were and our orders which was lovely. Even though having treatments inside the hotel is more expensive than in the streets it is definitely worth it to go from room to spa. The massage therapists are also extremely good at their jobs. I can assure that anyone who chooses to stay will have a great time.